Vicky Thomas at Pingyao Festival in China – Kura Gallery: Maori and New Zealand Art + Design. 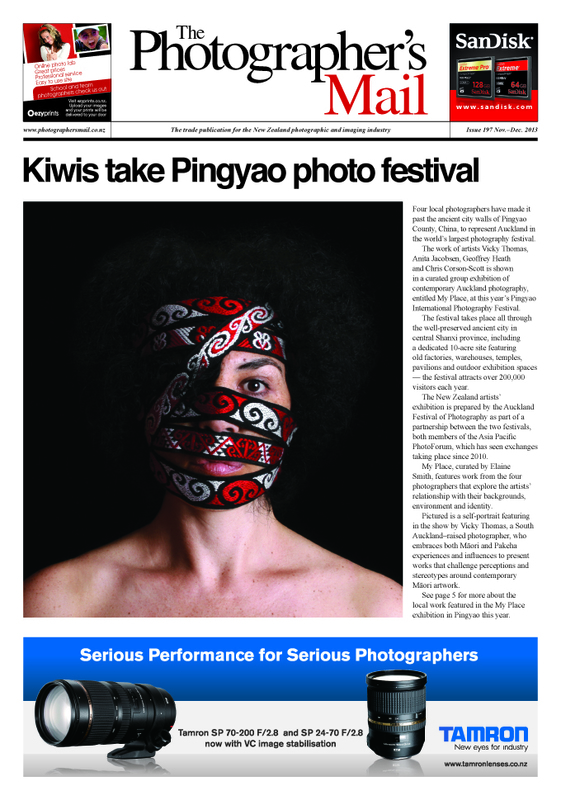 Vicky Thomas, manager of Kura Gallery Auckland, earlier this year was part of the 13th Pingyao International Photography Festival, which opened Sept 19, 2013, in Pingyao ancient town of Shanxi province. Vicky, alongside three other New Zealand artists were shown in a curated exhibition of contemporary Auckland photographers, as part of a collaboration between the Auckland Festival of Photography and the Pingyao Festival.